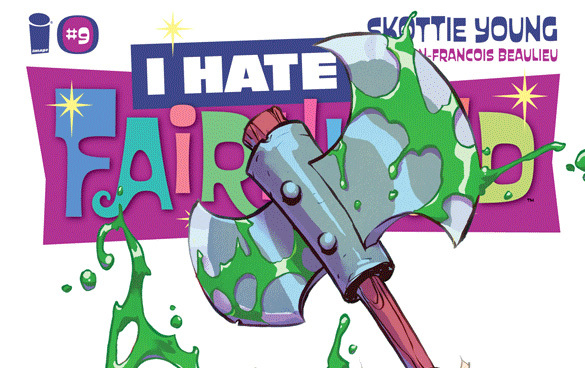 I HATE FAIRYLAND #9 Review | Warped Factor - Words in the Key of Geek. 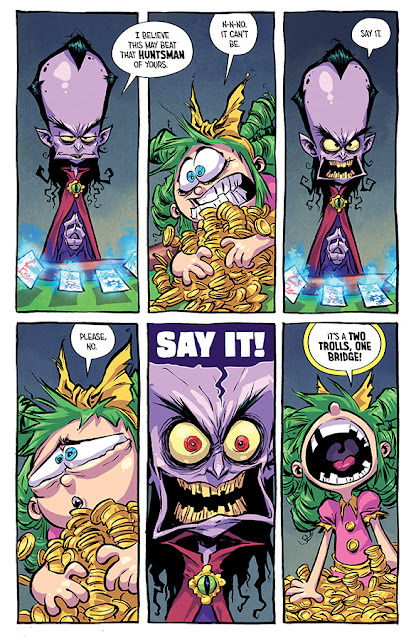 Issue #9 of I Hate Fairyland opens with Gertude playing cards. The game is something between poker and Magic the Gathering it seems, and she’s winning - until the last competitor stops her grabbing the money and shows his winning cards. Sadly for Gert, she’s somewhat short on the IOUs. Amazingly, she charms - yes I said charms - her way out of it, offering a Catastrophon in full payment of the debt. Apparently the gambler is a collector too. But where is Gert going to get such a thing - an animal reputed to be extinct? Why Larry’s holding hat of course. So in she jumps. Phrases about frying pans and fires come to mind. So. Gert is in a hat and things are threatening to kill her - enter the Lynts. Love the Lynts, all black, fluffy and teeth! Apparently Larry hasn’t been very good at keeping the hat clean and it’s coming back to haunt… well everyone Gert has abducted and put in the hat to forget about it. There’s the obligatory big fight scene and something we’ve never seen from Gert before - Gert caring about someone other than herself. I have to say I don’t really know where this comic is going this time round. The first six issues had a distinct story arc, but this six, I’m less sure about. If Gert is still trying to get home there’s less and less evidence of that. 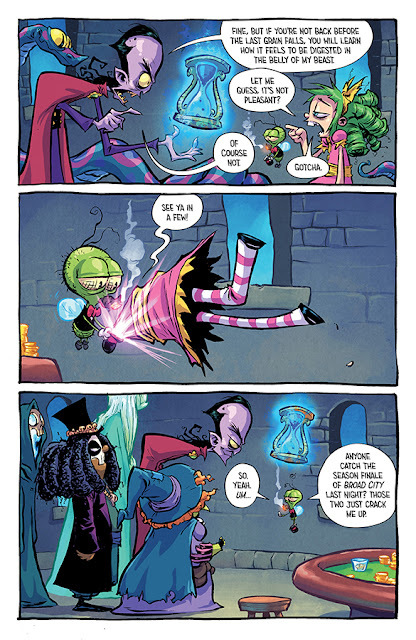 I do enjoy the Aliens references and the Catastrophon is so cute! 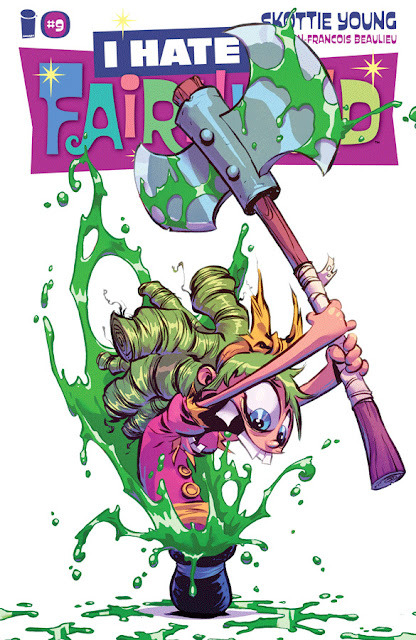 Hating Fairyland is still fun, but the edge has dulled. A four out of five this time.